The 4 Best Ways to Reduce Stress at Work - KLA Industries, Inc.
With NPE2018 less than two weeks away, if you’re like us, you may be stressing out a little. 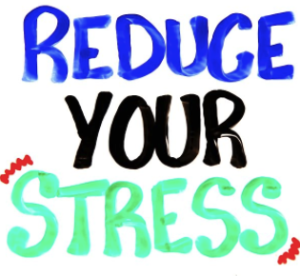 However, there are many ways to reduce stress in the workplace. Move More – Standing up and walking around for a few minutes every couple of hours can both increase productivity and reduce stress. Walking, working out, and other forms of exercise increase blood flow throughout the body, allowing us to refocus our responsibilities. Focusing on the tasks at hand allows us to decide what needs to be given the most attention and what can wait until a later time, which can lead to reduced stress throughout the workplace. Less Multitasking – Attempting to multitasking is a big cause of stress in the workplace. Studies have shown that humans cannot truly focus on multiple tasks at the same time. We switch back and forth between several things, usually not doing any of them well. Prioritize and plan to complete the most important things first, then move on to the next task. Meet Less – If you currently have a 30-minute meeting every day on something, ask yourself what would happen if we cut that back to once or twice a week. Having fewer meetings not only creates a lot of time in everyone’s schedules, but it also reduces stress. Some companies have experimented with ‘stand-up’ meetings. Standing keeps your energy level higher, and the meetings are typically shorter. Separate Work and Home Life – It is not uncommon for work to follow people home these days. With all the new technology, it is nearly impossible to separate between work life and home life. Consider ways you can make this division clearer. For example, if you have a work laptop, then leave it at work. Drawing a clear line between work life and home life will allow you to get the break that you need while you are out of the office, and come back refreshed.